In Tokyo, the cost of living is high, and people usually toiled through the daily grind. Efficiency is at the heart of the city, as clearly shown from its world-renowned rail system. Good news is, the city plays equally hard and almost never sleeps. Locals are also incredibly polite. 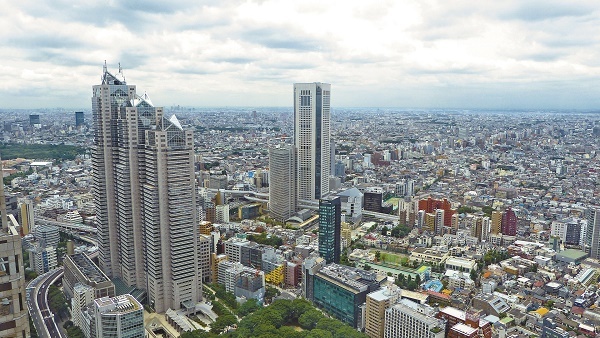 Tokyo, the capital city of Japan, has the second largest economy in the world containing over 30 million people. Today, the city is famous for its rich culture, mouth-watering cuisine, great transportation, and its people. There are many surprises about this city that makes living in Tokyo a one of a kind experience. A place where bullet trains faster than the speed of light transport you from historical sites to the most modern attractions in the city, where children practice ancient martial arts, and commuters, young and old, read the latest “manga” as they commute on the train. Despite the overwhelming modern and contemporary design of the city, there are still remnants of its colourful history and culture that is unique to Tokyo. As with the rest of Japan, the prominent religion in the city is Shintoism and Buddhism. There are several Shinto shrines all over the city of Tokyo such as the famous Meiji Jingu, in Shibuya, Tokyo. Although many associate Tokyo with high-rise buildings, those who are looking for an escape from the busy city life will find that the city has a lot to offer. If you look close enough, you will be surprised to find plenty of greenery and forgotten treasures of the past. Several forests, hot springs, valleys, beaches, and picturesque landscapes will surely entice expatriates who are looking for a place to loose themselves in nature within the city. Living in Tokyo can be a very rewarding experience, but it can also be very overwhelming. Between the different towering heights of the city’s sky-scrappers, the intricate subway networks, and the unfamiliar street signs, it is easy to feel lost amongst crowds. For those who want to explore the city, Tokyo has a vast system of transportation which includes subways, trains, trams, buses, and taxis. Transportation fare is relatively cheap compared to other European countries. Known as the biggest metropolitan in the world, Tokyo has always been a magnet for expats who want to start a new life and career in Asia. This city is famous for leading the race when it comes to robotics and technology which you will evidently see in its dynamic capital overflowing with the state of the art architectures. Employment opportunities are also arising in leading sectors such as IT, industrial design and healthcare where most expats find a chance to succeed professionally. Aside from its strong futuristic vibe and robust economy, you will also fall in love with Tokyo’s colourful local tradition and beautiful cherry blossom lined streets that are too perfect for the human eye. So if you are determined to seize your moment in the concrete jungle of Japan, here are a few tips that’ll help you out. You can start looking for accommodation by utilising the search engine on online real estate listings or going through local newspaper advertisements. These methods can only be very useful if you can understand and speak the local language. The best way for you to find a home in Tokyo is to contact English speaking real estate brokers in the city who can make your search faster with their connections and help you communicate with the landlords. Usually, the cost of your utilities like water, electricity, gas and garbage collection is not included in the rental pay. In Tokyo, the average monthly bill for these essential services can cost €150. An unlimited internet connection with a minimum speed of 10mbps is around €35 per month while local prepaid mobile calls are charged at €0.40 per minute. Tokyo has an excellent housing market, but you have to prepare yourself to be accustomed to small spaces since it might be different from where you came from. Short term rental ( 1 to 2 years) is popular among students and single expats who are mostly found living in shared houses or also known as gaijin (foreigner house). If you are looking for a long-term lease agreement, renting an apartment is a better option rather than buying a property. Apato (older apartment building) and mansions (high-rise condos) are the two most common types of expat housing in the city centre where the price of a one bedroom unit starts at €1000 per month and €2700 for a three bedroom flat. You can also find rentals in the outskirts where a one bedroom apartment is around €650 monthly and a three bedroom unit is roughly €1300 per month. Tokyo is a long way from home especially if you are coming from the West and the least thing you would want is a problem with the delivery of your belongings. The best option for you is to contact an international shipping and removal company to assist you during the moving process. Their door to door service will ensure a hassle free and efficient shipment of your packages to your new home in the city. It takes about 43-49 days for the containers to reach the Port of Tokyo, depending on your country of origin. Click here to learn about the Japanese import regulations. All dogs going to Tokyo needs to undergo a quarantine period of 16 days while the time span for other animals depends on their originating country. You also need to secure your pet’s Vaccination Certificate issued a month but not more than six months before import, along with the Health Certificate signed by a licensed veterinarian at least 14 days before its arrival in Tokyo. You will soon find out why many refer to Tokyo as a city with no dull moment. There are plenty of outdoor activities, nightlife, restaurants and shopping districts to keep you from being bored. Tokyo is the city for expats who are looking for an overall experience; may this be in local transportation, nightlife, helpfulness of the locals, cleanliness or shopping categories, living in Tokyo is good chance to experience a comfortable lifestyle. Although ranked as one of the most expensive cities in the world for expatriates, you can clearly see why this city’s cost of living and standards are quite high. Tokyo is regarded to be one of the biggest and most populated cities on Earth with an estimated population of 35 million people. It's highly modernised architectures and leading reputation when it comes to technology are just a few of the reasons why so many expats choose to relocate despite the congestion. Living in this bustling metropolitan requires a lot of preparation and knowledge to ensure that your relocation will go smoothly as possible. There are also a few factors that you need to know in order to survive in the famous capital of the Land of the Rising Sun. Here are some of those. Since Tokyo is already a multi-cultural city, you can expect that most of your colleagues and its inhabitants know how to speak or understand English. However, as you travel outside the city centre, you will find out that most locals still prefer to use their native tongue and can only communicate with minimal English. Expats relocating to Japan can start overcoming the language barrier with just a few key Japanese words like Konnichiwa (Hello), Arigato, (thank you), Sumimasen (excuse me), Hai (yes) and Iie (No). Politeness means a lot to the Japanese. Even if you are not yet fluent in speaking their official language, you can still show respect by using words such as Kudesai (please) and Arigato combined with a bow of your head. Dining out and socialising is a huge part of the business culture in Tokyo. They hate surprises so it's best that you give your host/hostess a heads up about your food preferences so that they will know what to serve you. Expats should also prepare themselves for what the locals call Nijikai which refers to the second and one of the most significant parts of socialising. Nijikai involves transferring to a different venue such as a bar or coffee shop after a meal. 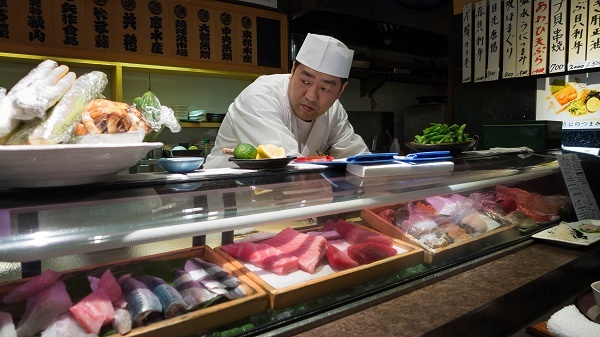 Tokyo has thousands of restaurants that serve international and local cuisine. If you want to taste authentic Japanese dishes, go to the 35-year-old Heiroku Sushi, a famous sushi place located in the heart of Omotesando Dori. For your basic needs, you can go to Hachiman-dōri, a huge mall where you can buy almost all kinds of items. 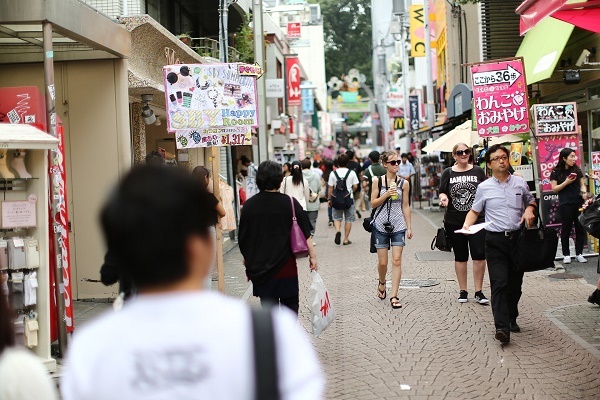 There are also many local markets in Tokyo for expats who are on a budget. Some of them are Ameyoko Arcade located at the south of JR Ueno Station and Ameyayokocho Market near Ueno Station. Expats relocating with their kids will not run out of exciting places to visit like Tokyo Disneyland, The National Science Museum, Ueno Zoo and Edo-Tokyo Museum. There are also lots of historical sites such as The Imperial Palace which is the core of traditional Tokyo and the Yasukuni Shrine, a monument built in honour of the 2.5 million Japanese who died during World War II. Business cards are widely used by professionals in Tokyo because it signifies a formal introduction. When someone hands you their card, make sure to accept it with both of your hands. Always leave your shoes by the door when entering a temple, historical site or a private home since it is a deep rooted local custom. Remember to say Say i-ta-da-ki-mas (I will receive) before starting a meal. Chopsticks are the official utensil in Japan, and the use of it requires a couple of etiquettes. Never play with it, never use it to offer food directly to someone and never ever leave it poked upright in a bowl of rice. These are just the basic things that you need to know once you have decided to live in Tokyo. The list goes on, but the most efficient way to learning other nation’s culture and ways of living is by spending time with the locals. Most importantly, respect their customs regardless of your personal background. Shopping seems to be the favourite past time of the locals which can sometimes be very confusing for the newcomers since you won’t find shopping malls but instead, find high-rise department stores all over the city. Expats will enjoy the variety of items available than even the most hesitant of buyers find irresistible to buy. There are some museums and art galleries available in the city that will certainly captivate locals and visitors alike. Concerts and festivals are held everywhere in the city all through the year, as well as night clubs that cater businessmen to college students. So whatever you hear or see in the city, you will always be amazed by the different ways in which the customs seem to effortlessly blend with the modern world. Expatriates moving to Tokyo will find a truly unique living environment that won’t be found elsewhere on earth. Amazing scenery and unique travel experience right on your doorstep.